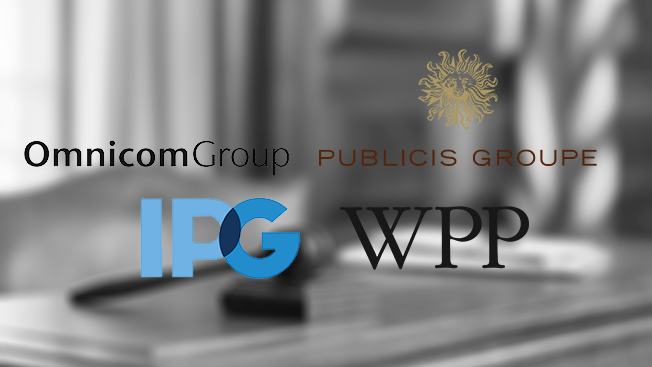 The federal government's investigation into allegations of antitrust practices at major ad agencies has expanded to include WPP, the world's largest holding company. WPP this morning released the following statement on its website: "WPP confirms that, similarly to Interpublic, Omnicom and Publicis, three of its subsidiaries have received subpoenas from the U.S. Department of Justice Antitrust Division concerning the Division's ongoing investigation of video production and post-production practices in the advertising industry. WPP and its subsidiaries are fully cooperating with the enquiries." That means all four of the largest holding companies by revenue have been subpoenaed by the federal government as its investigation into reports of "bid rigging" continues. Omnicom and Publicis confirmed on Friday that they had received subpoenas from the DOJ and that they planned to cooperate with the investigation. Interpublic Group made a similar statement the previous week, just days after news of the probe broke in The Wall Street Journal. A WPP spokesperson has not yet responded to requests for additional information, and the timing of the various subpoena requests is not currently clear. Dentsu Aegis, Havas and MDC Partners have not responded to queries about whether they are also participating in the investigation. To date, the DOJ has requested information from seven agencies regarding their approach to video production and post-production contracts: three at WPP, two at Omnicom, and one at both Publicis and IPG. The investigation concerns a practice in which agencies allegedly either mislead production and post-production companies about the rates they will use to bid for a given client's business or ask the same companies to "rig" the bid as a favor in exchange for future work. The ultimate goal is to send more revenue to the agencies' parent companies. Various people claim the behavior is widespread. As one veteran agency producer told Adweek, "I'd say it's been going on 20 years. Everybody knows what's going on."